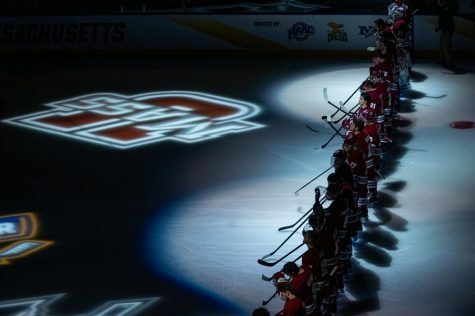 The Massachusetts hockey team remains unscathed at the Mullins Center this season with a 3-1 win over No. 17 Yale on Wednesday night to put an end to its five-game winless streak. 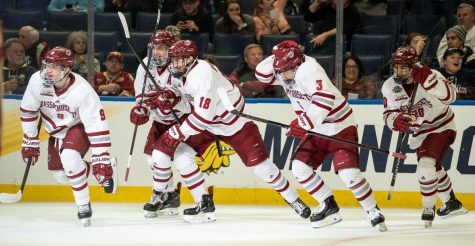 The win for UMass (5-7-4) was its first since Nov. 12, when it defeated Northeastern, 4-2, at home. 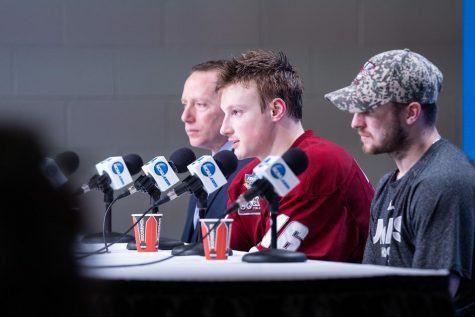 “I thought we played really hard,” said UMass coach Don Cahoon. “We looked a little discombobulated at some points, but we were able to do some good things to preserve the lead at the end of the game. Freshman goalie Kevin Boyle led the way for the Minutemen, stopping 26 shots for his fourth win of the season. 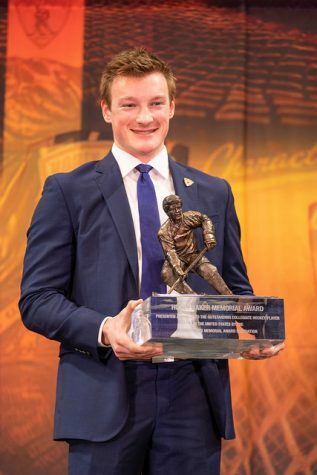 For Yale (6-5-1), Boyle’s performance was unique, as Wednesday’s game marked the first time all season that the Bulldogs have been held to less than two goals. 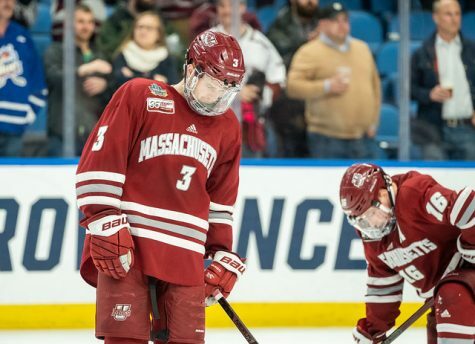 Sophomore forward Branden Gracel scored the eventual game-winner for UMass, as his backhander 9:18 into the third period broke a 1-1 tie for his fourth of the season. Gracel received a pass from defenseman Conor Allen, which he took from behind the goal and went right. From there, the Calgary, Alberta native went across the goal to the left and slipped the puck past Yale netminder Jeff Malcolm to give UMass the lead. Senior captain T.J. Syner sealed the win with an empty-netter with 30 seconds remaining. Although they picked up a much-needed win, the Minutemen continue to play with a lack of discipline. 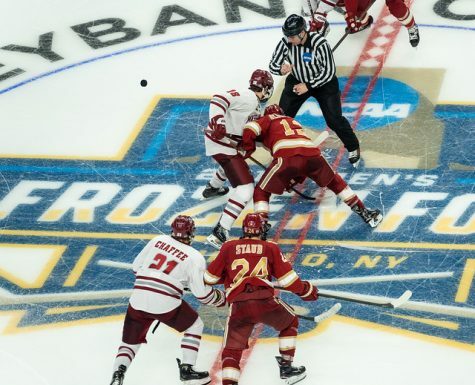 In the game’s first seven minutes, UMass took three penalties. Kevin Czepiel’s tripping call 5:13 into the game proved to be the most costly, as Gus Young capitalized for the Bulldogs on the power play to give Yale an early 1-0 lead. The Minutemen had their share of chances later on in the period, including a five-on-three opportunity at the 18:48 mark after a boarding penalty by Kevin Peel gave UMass a two-man advantage, but could not convert as Malcolm stonewalled the Minutemen attempts to preserves Yale’s lead heading into intermission. 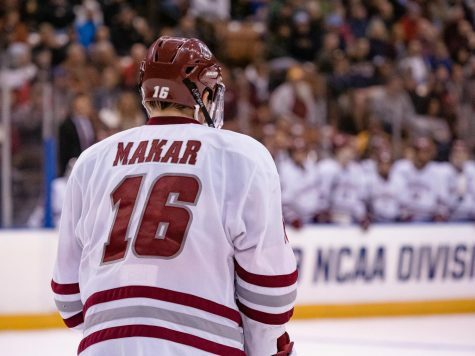 UMass knotted the score at the 7:36 mark in the second period after Peter DeAngelo received a pass in the neutral zone from Czepiel, and drove the puck down the right wing before burying a wrister past Malcolm. It was DeAngelo’s second goal of the season and his second point overall for the year. 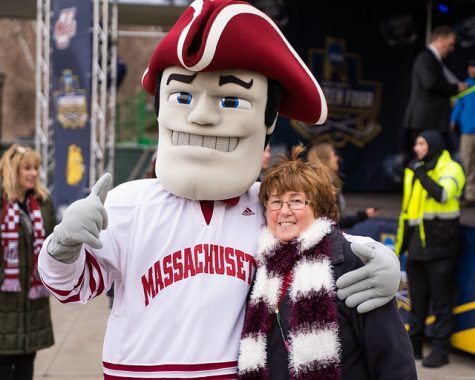 The Minutemen outshot the Bulldogs 33-27, marking the second straight game UMass has registered 30 shots. 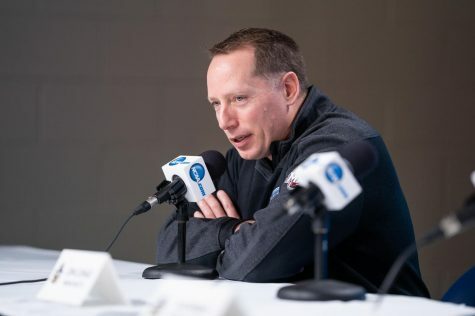 The Minutemen will receive some significant time away from the ice as they don’t play again until Dec. 29, where they will take on Cornell in Estero, Fla. to take part in the Florida Everblades College Classic. Nick Canelas can be reached at [email protected] and follwed on Twitter @MDC_Canelas.